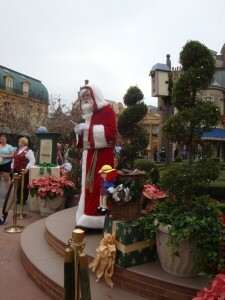 For this Christmas holiday, I vacationed in Florida with my family. We visited the ever-amazing Wizarding World of Harry Potter, and spent nearly every waking moment traveling between Hogsmead and Diagon Alley via the Hogwart’s express. It was an awesome experience filled with magical moments of discovery. 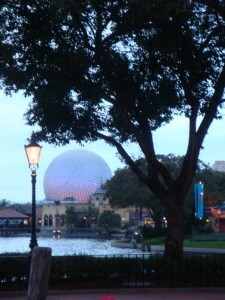 But in addition to time in the world of Harry Potter at Universal Studios, we visited Disney’s World Showcase at Epcot Center. Talk about magical moments. We strolled from Canada to the UK to France, Morocco… all around the world, taking in the sights, the sounds, the scents and flavors. While in each country, we learned about their holiday traditions. I was, at first, impressed by how familiar so many of those traditions were, and how many of them overlap and compliment one another. We’re all separated by borders but share so many ideas, ideals and passions. Despite the similarities and the exciting differences, one country’s traditions stood out the most for me. It was unique (to me) and made me smile as I considered implementing them myself. It was in Japan. 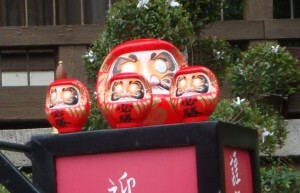 One of their traditions involved the Daruma Doll. It is a small hollow “head” with blank white circles for eyes. The idea is to consider and plan your goals for the coming year and then to color in one of the doll’s eyes. The doll will sit on a shelf, untouched, until you have reached your goal or goals. At that time, you may color in the other eye. I love that idea so much I bought tiny Daruma dolls for my family so we might each strive to reach our personal goals with this doll as a reminder to do so. Another Japanese tradition associated with the coming of each new year, involved refreshing the home so you have a new start with the new year. I doubt this means anything as extreme as remodeling, but rather a change of window treatments, new slipcovers, or, perhaps, a fresh coat of paint. I can see myself doing that. I can also see myself altering my furniture layout so my rooms feel new even though they are not. I don’t know about you, but I often find myself falling into a rut. When I came home from our holiday getaway, I noticed a drop in my energy and enthusiasm. While away, we were up at the crack of dawn and out well after midnight. Those couple of sleep hours were enough to propel us into each next day of adventure. While at home, if I tried to stay up that late and rise that early, I’d be dragging myself through the day and would be grouchy to boot. Not that I intend to deprive myself of sleep every day, but the idea of a fresh start to the new year, with new draperies or shades, with new colors on the walls or even a simple rearrangement of furniture intrigues me. I can imagine wanting to spend time in this ‘new’ space and feeling good about the environment, because, I would assume, if I’ll be shifting stuff around then some of that ‘stuff’ will be left at the curb. So, this year, for 2015, I will start a new tradition in my little home and freshen my space. Papers will get tossed, clothes we do not wear (or can no longer fit into) will be donated, the fridge will be cleaned, the cupboards stocked with healthy choices, the throw rugs and pillows replaced and the furniture shifted about. I will rediscover my home and be happy here. Maybe you’ll try this to? You just might find a way to bring adventure into your own home. Or do you already do something like this? 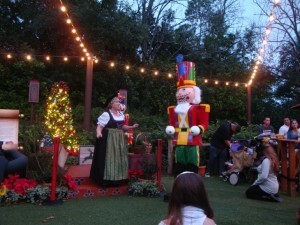 What are some of your holiday traditions? Akemashite Omedetō Gozaimasu – Happy New Year. May 2015 bring smiles to your face, health to you and your loved ones, peace to your home, and fulfillment to your heart. More than a decade ago, an entire generation was introduced to the magical, wondrous world of Harry Potter. It was a world full of friendships, hard lessons and evil. 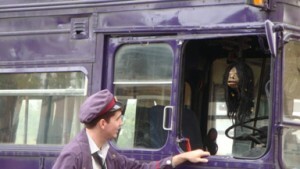 Harry’s innocence, though it fought valiantly to hang on, was lost very early. The tragic attack on his world, his family and others, left him scarred – physically and emotionally. A decade ago, another scar, a real scar in the real world, was left on American soil and in the hearts of many around the world. 9/11 changed the perception of adults. It changed our sense of security. The collective sense of insecurity became pervasive, and could not be hidden from our children. Years ago – a generation ago – adults worked to absorb and hide concern and fear so children wouldn’t have to know about danger in the world. Children could be children – innocent, naïve, oblivious. Happy and free from worry, free from the burdens of adulthood, of evil. But, 9/11 brought that evil into focus. There was no hiding it. Our children felt every breath of it. And while they could not ignore it, many of them were too young to process it, to understand it. 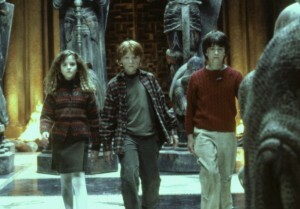 With Harry Potter books and movies running along the same time as al Qaeda gained steam, the children were able to give fear a home. They saw Voldemort as evil while we saw bin Laden as evil. They watched this fictitious evil grow stronger, be fought, grow stronger yet again. And they watched Harry, and all the other ‘good’ people, as they struggled to counter the terrorist acts of Voldemort and the Death Eaters. 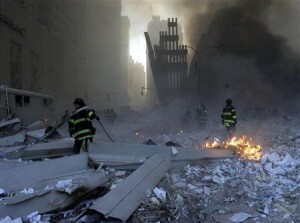 It was much the same as the West struggled to beat back, contain and defeat bin Laden and al Qaeda. 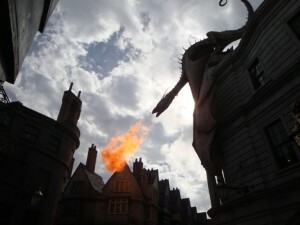 While this real-life process will take a lot more than a wave of a wand or a spoken Latin phrase, the connection is clear. Now, a decade later, Bin laden is dead, killed on May 2nd. 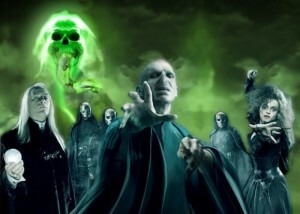 Voldemort has been obliterated (his last breath ALSO on May 2nd). And while the destruction, pain and devastation remain, so does hope. Our children have grown. They’re no longer wide-eyed and innocent. They are now street smart and educated. They’re young adults coming into their own, recognizing good and evil. Understanding where each rests in society, and feeling confident that they can overcome it. They can fight back. They witnessed the most horrific act of terrorism in US history. They witnessed the destruction of the fictitious world they love. And they witnessed, “19 Years Later” as it says in the book, how even through horror, even through death and destruction, life goes on. There is no line between winning and losing. That area is blurred and wide. Winning is measured by love, friendship and integrity, while loss occurs when there is no hope. Harry Potter will forever be a force in the minds of an entire generation. It thrilled. It frightened. It stirred. I will miss hearing about the newest book coming out and the newest film being released. I will miss the excitement in my daughter’s young eyes as she discussed the symbolism she saw in the stories. I will miss the years of toy wands, wizard-cape costumes and witch’s brooms. 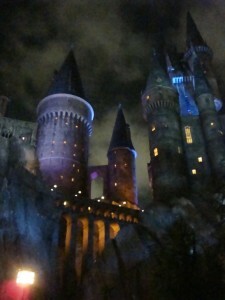 A lifetime – my child’s lifetime – was shared with Harry Potter. I watched her grow and mature along with the characters. The actors. I am sad to see it end, but I am happy we had it at the time we did. Besides giving children a fantasy to explore, it gave them books to read and ideas to debate and exchange. In the dark shadow of 9/11, Harry Potter offered hope, and for that, I am forever grateful. Thank you Harry, Hermione, Ron and all the others. Most especially, thank you J.K. Rowling. 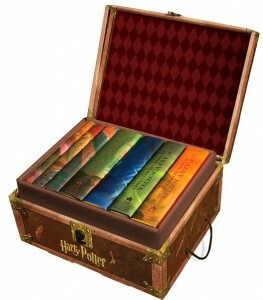 The last movie to excite me was Harry Potter – pick a number in the series, it doesn’t matter, I enjoyed them all. My daughter was the age of the main characters when the first film came out. She has matured along with Harry, Hermione and Ron. She ‘gets’ it now. She follows the emotional reactions that are so much more complicated now than they were when the characters – and she – were so young. 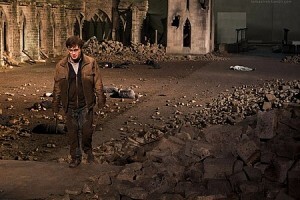 I enjoy Harry Potter because of the fantasy. The way the films – and of course, the books – took my daughter’s imagination to a new level. She was fascinated by something exciting and new, and I watched her enjoyment with my own. And so it was again today when, together, we saw a matinee of Twilight. Twilight will captivate your teen. There’s no question in my mind about this. The girls will definitely relate to the teen heroine, Bella. They will understand her angst, her passion, her confusion and her ever-so-teen-like superiority and awkwardness. While I watched this movie, I thought like a writer – and no, I have not yet read the books but do intend to. I watched the first hour or so with intense interest. There was little physical action, yet I was drawn in. I listened to every word spoken, because every word spoken sounded and felt like it mattered. And it did. To the seventeen year old heroine. And to me – a one-time teen. I understood her. I WAS her at one time in my life. Not that I experienced the same events she did, because, let’s face it, to my knowledge, I never fell in love with a vampire. But, I did experience the same emotions. The same doubts, needs, desires. The beginning of the movie introduces us to high-schoolers just months before their junior prom. They are children on the cusp. Their passions run deep and pure. Their emotions, all-consuming. They react, not act – the exact opposite of what I try to teach Daughter now so when the time comes, she’s prepared. Who is ever prepared for the tsunami of teenaged emotions? It’s to that issue this movie speaks. Strike all logic and forethought from your mind if you see this. Consider instead the needs of teens. Consider how paramount each moment is to them – or was to you. Consider how vital it was to just be with the boy you liked – to just have him smile at you. Heck… to just have him LOOK your way. All that and more is what oozes from this film. The acting. The writing. The filming. The memories we bring to the theater. They all work together to make this romance – which is the crux of the film – palpable. Identifiable. Believable. 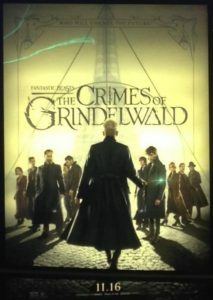 I’m thrilled Daughter and I were able to see this today – the first showing in my area. And I’m thrilled we were able to see it together. Most of all, I was thrilled each time I glanced over at her and saw that – no matter how complex the behaviors seemed to be – she ‘got’ it.